Hello! Thank you so much for all the kind and comforting words during my dog's illness. He's doing much better now. He got worse last week and I had to take him back to the vet, the same one I went to last week, because the others were unavailable. He asked me if I wouldn't mind staying with my dog while he performed more tests. Duh! Of course I wouldn't mind. Why didn't he just ask me that the first time? Anyway, I guess I have to apologize for going off on the doctor last week for being afraid of my baby. What was nice was that he refused to give up until he found a diagnosis. I got a little feisty with him because my dog kept getting worse. Sorry! After many more tests and two days of intravenous medication, my dog was diagnosed with Addison's disease. How I understand it is that his kidneys don't secrete all the hormones they are supposed to or something like that. He responded well to the treatment and now he has to take medication for the rest of his life, but he's better. Yay! He has to go back in two weeks for his check-up and for more blood work to see if the medication actually helped and for further confirmation that he has Addison's disease. I exhausted my editing fund, but at least I have my boy. Yay! Though, I'll still go ahead with my second round of rewrites and then more self-editing. Thank you once again to all the wonderful people who wished me and my boy well. Please, have a wonderful Christmas. Hey everyone. I want to wish you all a very Merry Christmas and a wonderful New Year. This is going to be my last post for the year, unless there's something important I need to post. My son (dog) has gotten sick on Sunday and we took him to the vet yesterday and the medication they gave him only made him worse. So this morning my brother took him back to the vet and they did all kinds of tests and deduced that he has a bacterial infection in his small intestine and put him on an antibiotic drip and kept him for a few hours and guess what? When he came back he was still not better, but gave my brother a pack of antibiotic medication to administer over the next few days. Okay, I'm ranting, but I need to get this out. My dog hasn't eaten or drank anything in over two days. He still won't eat, not even chicken or steak or drink water to help save his life, not even when I force him (which makes him freak out by the way) and now I'm supposed to get this huge antibiotic pill down his throat? The vet told my brother that my son is not a social dog and he doesn't want to work with him, which is why he can't give him anymore antibiotics intravenously. My dog gets along fine with me and my family, as well as our two other dogs and even the cat. Of course he's extra grumpy because he's not feeling well and then I keep taking him to the vet to get experimented on. My son wants me to make it better and I don't know how. The saddest part is watching him slip away right in front of my eyes and though I want to help, I don't know how. I tried forcing him to take the pill and he flipped out on me. It just stresses him out even more and I don't think adding stress to his already weakened condition is logical. I'm sorry my last post is so heavy and depressing. But that is why I am ending my blogging year now. I'm going to focus on my son now and hope to comfort him any way I can and nurse him back to perfect health. Even my second round of rewrites will have to wait. Once again, please have a wonderful Christmas and New Year and please take good care of yourselves. See you next year! I’m not as insecure this month as I usually am. Maybe it’s because I’m getting off a high of finishing my first round of rewrites, which I thought I would never get through or finally achieving my first publishing credit, by having my short entry accepted and included into the IWSG Guide to Publishing and Beyond. Once again, a huge thank you to the IWSG Team for all their hard work and making the e-book possible. I’m among great company and feel so honored. The past week has gone very well for me and any depression episodes have been kept at a minimum. Yay! Today I finished my first round of rewrites. I'm going to take a few days off before I start on the second round. 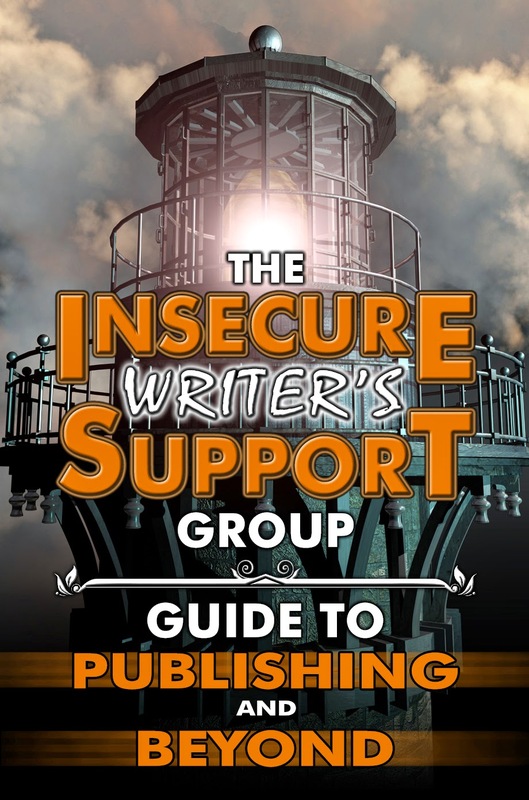 The Insecure Writer's Support Group Guide to Publishing and Beyond is now available! For Free! The Insecure Writer’s Support Group Guide to Publishing and Beyond is available! Woo! Hoo! Thank you so much to Alex and the entire Insecure Writer's Support Group Team for making this happen. They all worked so hard and endlessly to make this possible and I for one, am very thankful. There is so much helpful advice and info I know I can benefit from. Congratulations to all the writers who have contributed.